How our family uses essential oils. I’ve gotten so many requests on how our family uses essential oils, but never took the time to write it out! 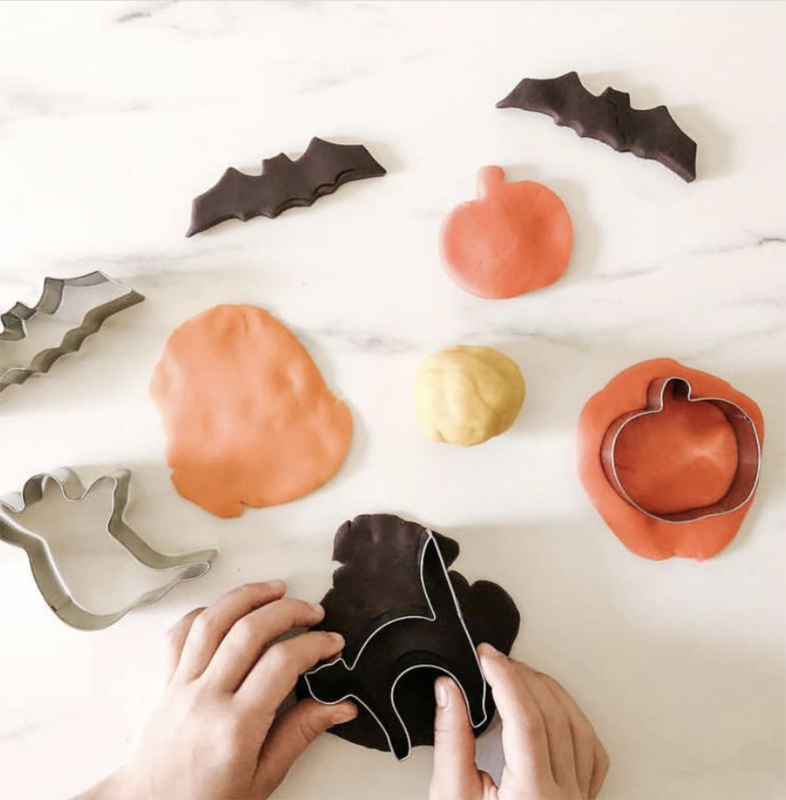 Finally sharing how we use them for our family on a daily and seasonal basis. There are few regulations here in the U.S. on what is allowed to be manufactured and sold in our common household and personal care products Therefore, I started a while ago to be my own health care advocate for myself and my children. Not everything is in our control, but cutting out toxins and chemicals in our lives certainly improves the quality of it. With the recent release of the study confirming the connection between Formaldehyde to Leukemia, I am convicted now more than ever of this. We need safer FDA regulations, but until then I have to actively read labels, and understand what certain ingredients mean. Formaldehyde was found in products I trusted, and it is disguised under different names. When I find companies I can trust that are committed to clean labels and transparency, I stick with them! A few being Seventh Generation, Honest, Beautycounter, Follain, Young Living, etc. Since I keep receiving requests on how I use essential oils for our family, I went ahead and wrote out this post of ways I have integrated them over the past 5 years. If you have any questions please let me know! 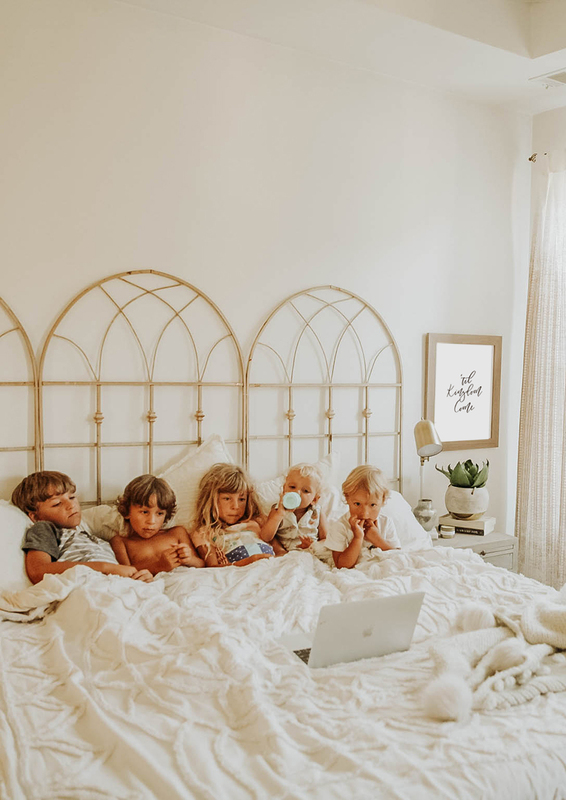 There are a million and one ways to use oils, but finding simple routines that work for you and your family is what will help incorporate those healthier lifestyle changes. I was overwhelmed at first and the oils sat in my cabinet for a year until I started reading about ways that didn’t seem as intimidating to try. I hope this post proves to be the same for you! 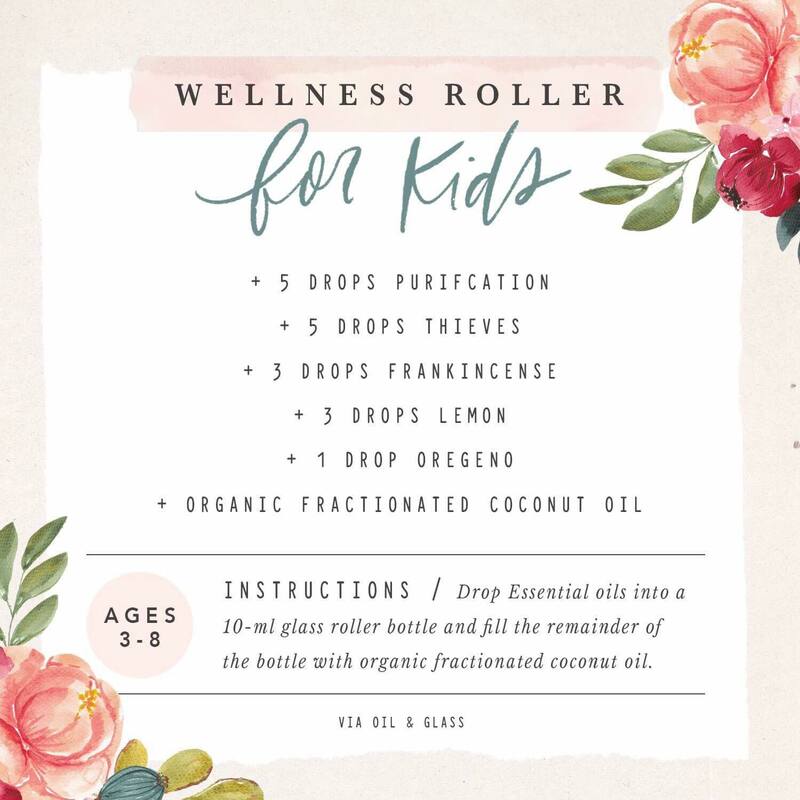 I am not the best at remembering to use roller bottles on my kids’ feet throughout the day, but I do stick with a wellness roller to help prevent all of the sickness that comes with flu season. They actually request it now, and the older ones can do it on their own. When they have a sore throat they ask for Apple cider vinegar, and when they start to get the sniffles they ask for a roller bottle;) These oils are so concentrated that the smallest amount even when diluted can be so effective to our immune and lymphatic systems. We are lucky to go to a school where the teachers even have diffusers in their classrooms! This recipe above is what is also known as the flu bomb roller! My medicine cabinet is no longer overflowing with cough syrups and prescriptions from the doctors office. From changing our diet, cutting out sugar, focusing on gut health, and proactively taking probiotics…we actually haven’t had more than head colds in over a year! I do not think oils should replace modern medicine, but I do think they can be used to prevent so much of the health issues we face in our country. We made it through flu season last year, and have somehow even avoided the dreaded stomach flu. It is incredible what cutting out sugar, toxins, and chemicals from your home can do. If you are new to oils, a starter kit with 11 every day oils is a great place to start. I have used essential oils for pregnancy, post-partum, and miscarriage healing as well, but I think that deserves it’s own post! 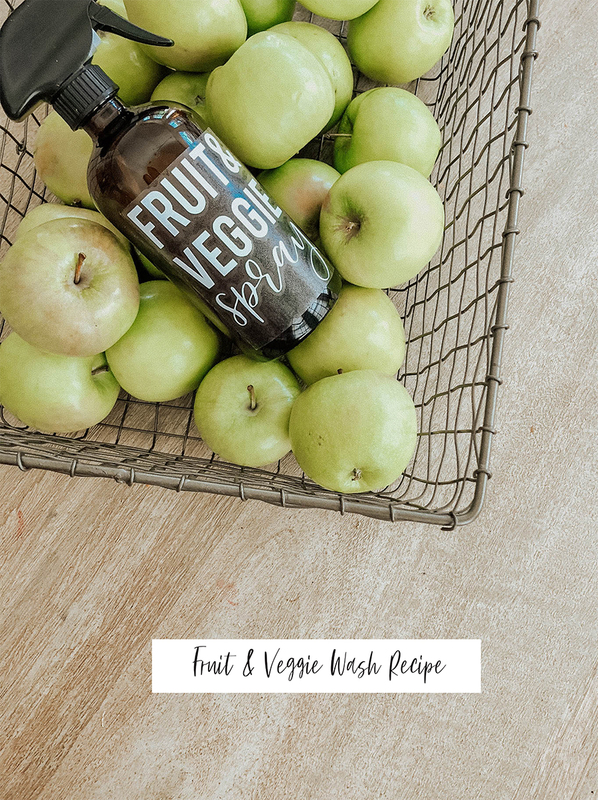 For a good fruit & veggie wash to remove those pesticides: 1/4 c. apple cider vinegar, 6-8 drops lemon essential oil, and fill the rest with water! It won’t make your fruit taste any differently…maybe a little fresher! One bottle will last you a while, so I usually make all of my spray bottles in one day, and don’t have to worry about it for months! I got the labels for the bottles at this etsy shop. I replaced my detergent with Thieves laundry concentrate as well as started using dryer balls in the dryer. A few drops of lavender + purification on these wool dryer balls. 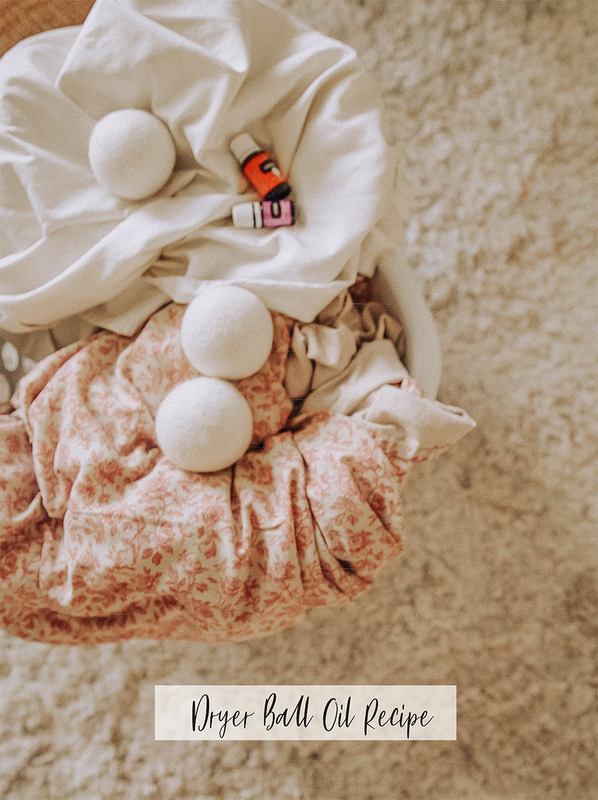 Dryer balls help dry faster as well as add that wonderful scent to your loads of laundry. *Add a safety pin to the dryer balls to reduce static! 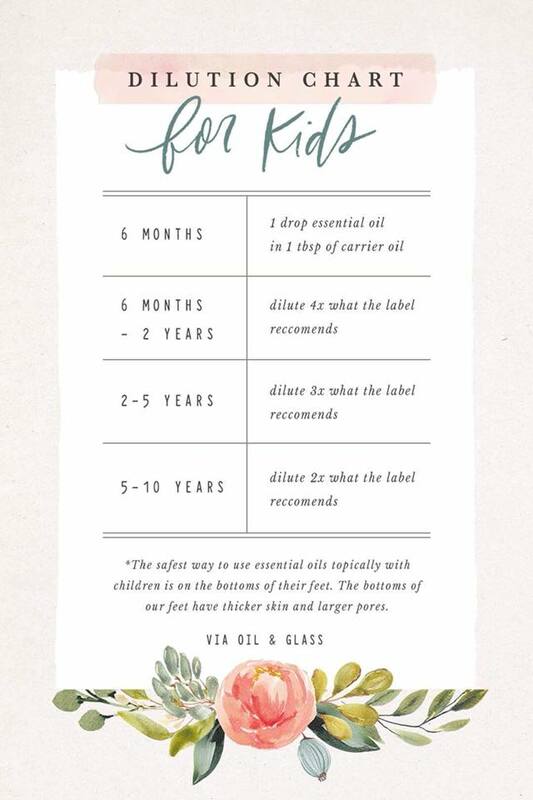 If you are using oils for your little ones, this is a helpful ratio chart for diluting! I have a diffuser in their room as well to help with bedtime. WOW. What a difference it makes when the sleep time blends are on. My son Max is usually really restless, but these calm him down significantly. For sound sleep: Lavender, Sleepyize, or Peace & Calming do the trick! 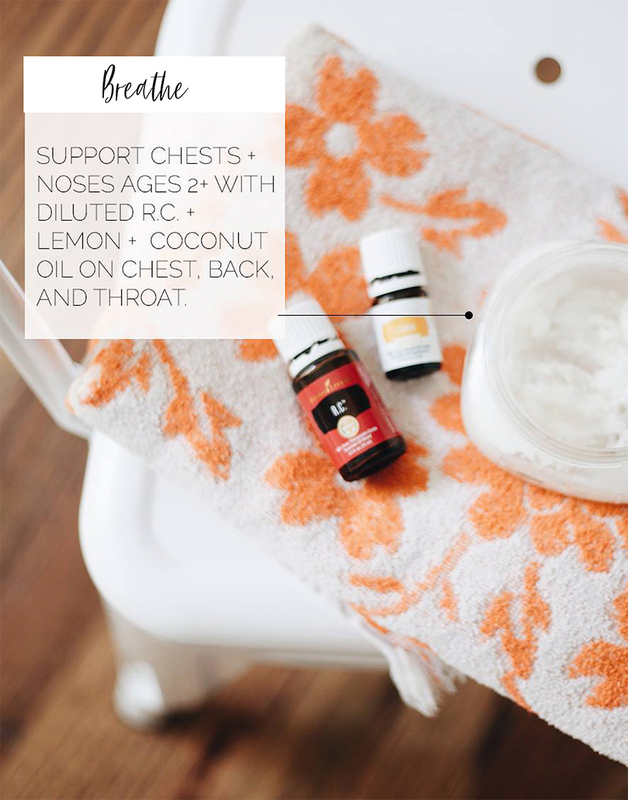 A really easy recipe for opening up airways and helping with congestion! I haven’t used cough syrup in a few years, because oils helped significantly on their own! Of course, when things get serious, I ALWAYS recommend calling your doctor. I am grateful for the endless care good doctors and nurses can bring us when we are in need. I also love when the house smells like mulled cider or pumpkin pie. For that I use a few drops each of tangerine, cinnamon, nutmeg, and clove. Heaven. Mix all ingredients together- that’s it! I hope these recipes and info are helpful for you! 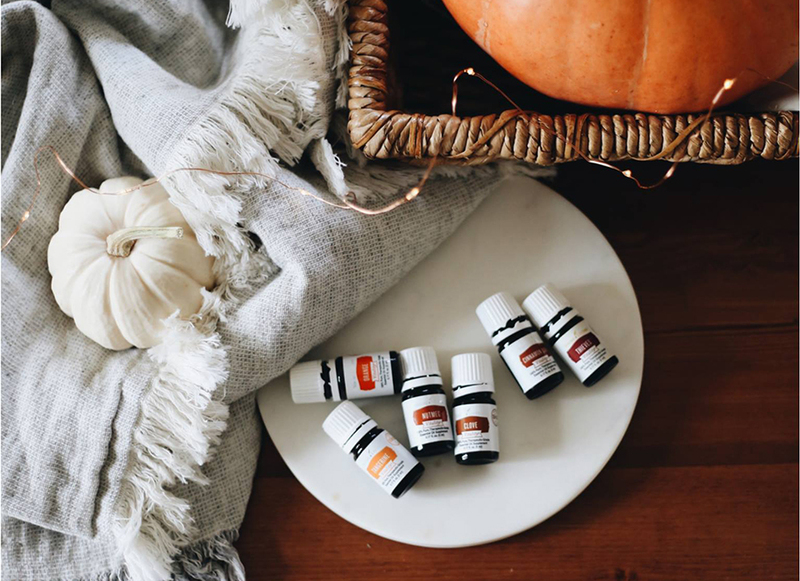 If you have been wanting to try essential oils, but not sure where to start, the premium starter kit is a great bundle deal that also includes a diffuser. When you order a kit, you get the wholesale membership price which is awesome. I used just that kit for a long time, and ended up signing up for essential rewards as well to earn free items and get all of my normal household essentials like detergent, cleaners, toothpaste, etc. I buy the amber glass bottles and roller bottles on amazon. I also would get a bottle of fractioned coconut oil for diluting your oils. You can grab a kit here, and I will add you to our FB group, where I personally learned so much about how to use these little bottles! It really helps to have a place to search or ask q’s. Awhhh all those babes in one bed.. I can’t! Be still my heart. <3 I don't really use essential oils but I do find them intriguing .. maybe I will start. I really like the fruit/veggie spray idea! Hi there, thank you for sharing this informative post. I would like to know if you add the 8 drops of lavender oil directly into the full bottle of Caster Oil? Where is the best place to purchase the lavender oil? I have the link to Amazon for the Caster oil. Thank you, I am tired of spending money on the lash product I am currently using. Have you seen results with the Caster oil and Lavender oil? Yes! You can add it directly into a roller bottle with the castor oil. I use the little brushes that comes with the castor oil to apply to the base of my lashes. I think DoTerra or Young Living are the best places to get essential oils since there process for harvesting does not dilute the oils. A premium starter kit was not much more than I paid for a lash serum, candles, and household cleaners I was buying and I’ve gotten so much use out of them for other things so it is well worth it! Thank you so much for the valuable information and getting back to me so quickly. I am interested in the starter kit, thanks again, I appreciate your help. Please, please be careful with using essential oils on your kids! They can be deadly. Hey Anna! Do you rinse your fruit and veggies with water after you use the spray wash?